UK healthcare creative agency Cherry has been acquired by Avenir Global in a move that strengthens its European presence. The Montreal-based group is one of the 20 largest communication firms in the world, with operating companies that include London-headquartered Axon Communications and its sister communications consultancy Madano. Ralph Sutton (pictured above far left), Avenir Global’s international managing partner, said: “We are delighted to welcome Cherry to the Avenir Global family. From brand strategy to social and interactive, our teams will be able to draw on Cherry’s award-winning creative and digital expertise to help brands engage with the right people, at the right time. 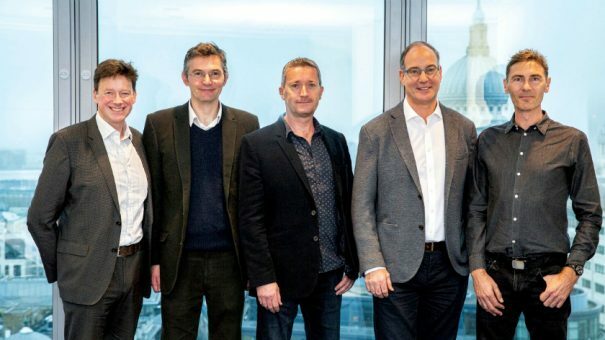 Cherry’s leadership team, which is headed up by managing director John Goundry (pictured above, fourth from left), will remain in place at the central London agency following the transaction. Founded in 2005, Cherry has annual revenue of £9.2 million, 80 employees and a client base that includes Boehringer Ingelheim, Eisai and Shire.